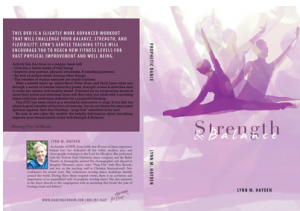 This video/DVD has been noted as a wonderful alternative to yoga. If you like the physiological benefits of this form of exercise, but do not want any new age overtones, then this Christian, “yoga-like” substitute is for you! It makes a great witnessing tool for those you know who are lost in “New Age” thoughts and practices! You’ll definitely want the preceding related DVD’s called: “Stretch & Adoration” and “Balance & Stretch”.